President Muhammadu Buhari landed at the Nnamdi Azikiwe International Airport in Abuja around 5.30pm on June 19, after spending 13 days in the United Kingdom for medical check-up (ear, nose and throat). 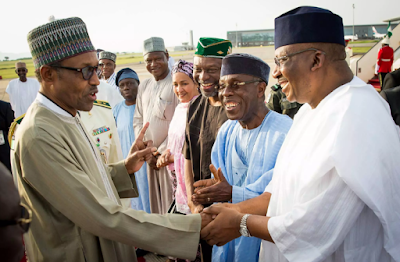 The president was examined and treated by his personal physician and an ENT specialist in Abuja, but both doctors recommended further check-up abroad ‘purely as a precaution’. 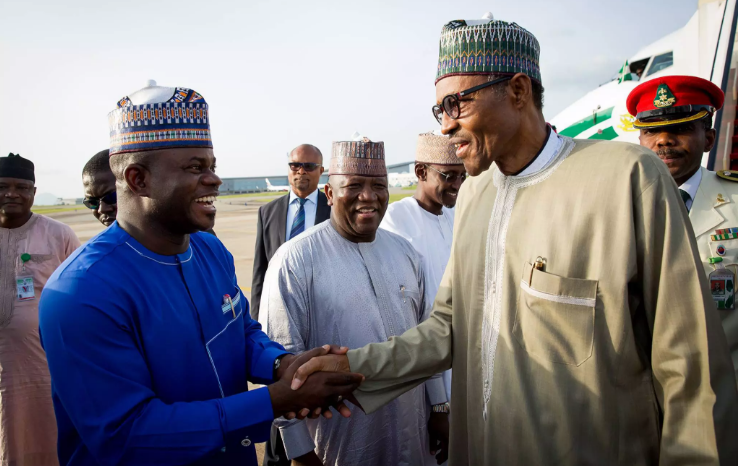 The president was received by Governor Abdulaziz Yari of Zamfara state, Governor Yahaya Bello of Kogi state; members of the Federal Executive Council, top government officials, federal lawmakers and service chiefs among others. While the leader of the nation was asked about his health status, President Buhari said that he was okay. “You have seen me. You saw me when I was going. You can do the assessment yourself. “I am okay. You can see me inspecting the guard of honour. You can see I am taller than you. Do you want to wrestle with me, you can do so,” Buhari said.